Looking to reserve a space for a birthday party, corporate event or group outing? 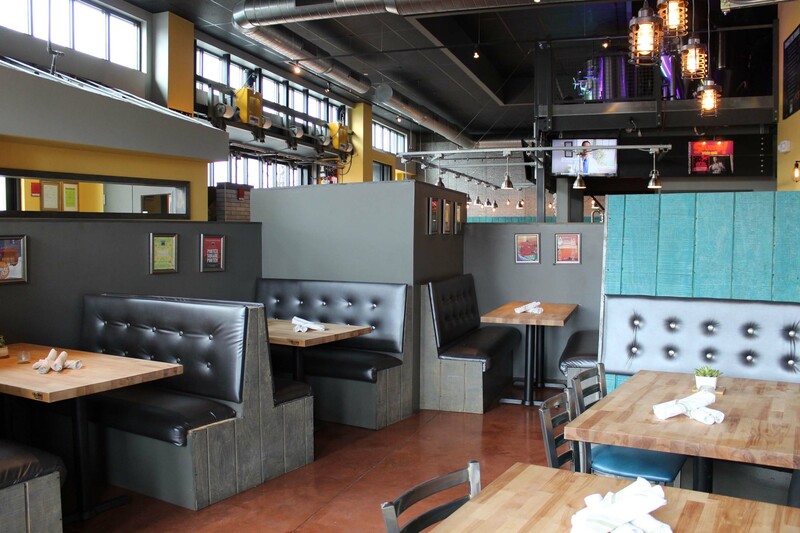 The East Dining Room at American Fresh Brewhouse in Assembly Row is great for groups! This space can accommodate 30 people seated (up to 60 people standing) and is available Monday - Thursday from 11am-6pm in 2-hour increments. Rate: Minimum of $20 per person in food from our Group Sharing Menu, and 2 beer tokens ($8.50 ea.) per person, plus tax and 18% gratuity. We can also provide non-alcoholic drink tokens ($3 ea. ), which are good towards our fountain drinks, coffee and tea. A 50% deposit is required to reserve this space, and the remaining balance will be due upon arrival for your event.